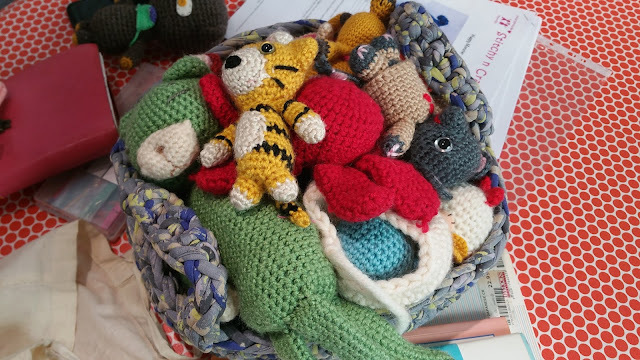 Whilst I was at my beginner's crochet class at Sew Make Create earlier in the year I spied these uber kawaii little Amigurumi critters in the workshop. Of course I HAD to learn how to make them - despite having no need for them, no children in my life to give them to and no cats for them to play with. The heart wants what the heart wants! 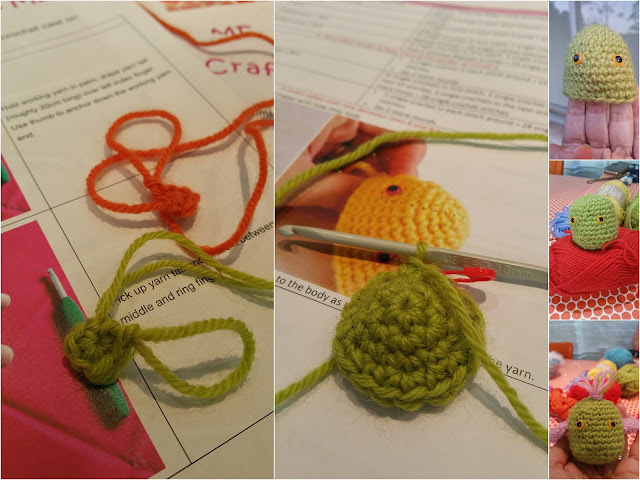 The class is taught over two Sunday's by the very patient and bubbly Amanda, and by the end of the second class you should walk away with a completed Amigurumi (unless something goes terribly wrong along the way). It was a little difficult at first as the stitches need to be TIGHT so it's hard getting your hook into them to make the next rows. Getting started with the "magic circle" takes a bit of wrangling, and counting the (tiny) stitches did my head in (concentration abilities are LOW here). I did have to rip rows back as I wasn't concentrating and couldn't remember how many stiches I was up to - but I've bought myself a few stitch makers which is making things much easier. 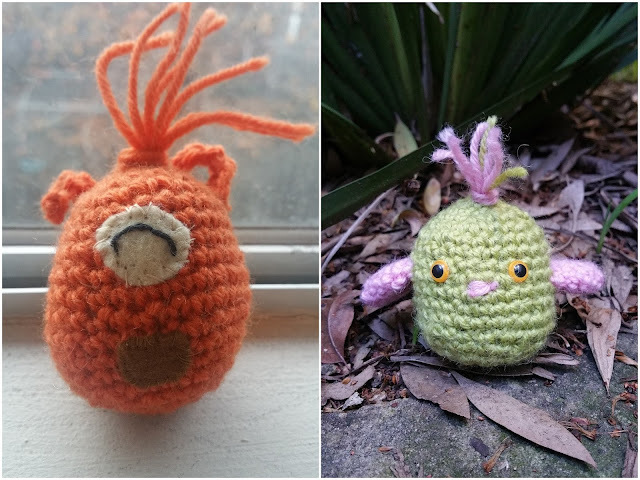 I did a bit of home(crochet)work so I ended up with one finished Amigurumi in class (this green little birdie) and one "almost" finished orange monster that I finished up that night at home! I've already started on my next Amigurumi monster in slightly thicker yarn than the orange one (as I want him to be a bit bigger). 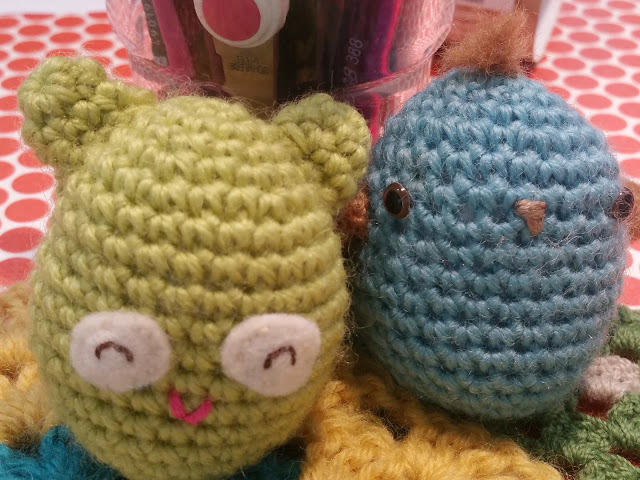 I'm also going along to the next Amigurumi crochet social at Sew Make Create and will get some tips from our teacher, Amanda, on how to embroider faces and stitch on the monster eyes properly. 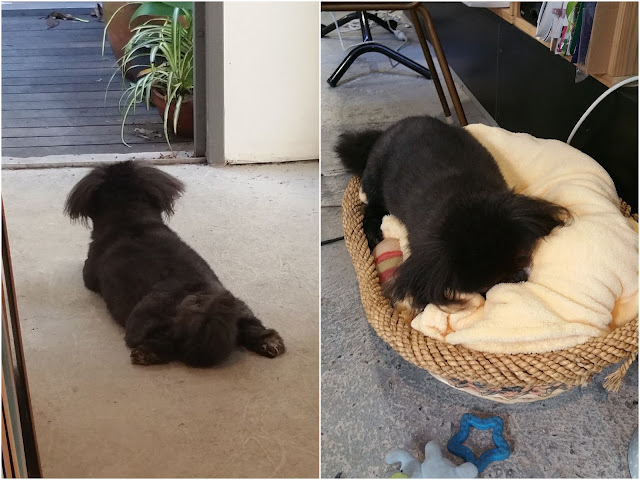 And of course, the best thing about a class at Sew Make Create is Pepper the shop dog -- so cute and fluffy. Actually, she'd make a VERY kawaii Amigurumi wouldn't she? I'm now busy thinking about other Amigurumi I can make, and looking for free and easy patterns on line.